Returning to North Wales again meant I wanted to try a few more places around the area for food. The first night we arrived at the hotel my dad asked the receptionist the best places to go which she replied with: Spooners. 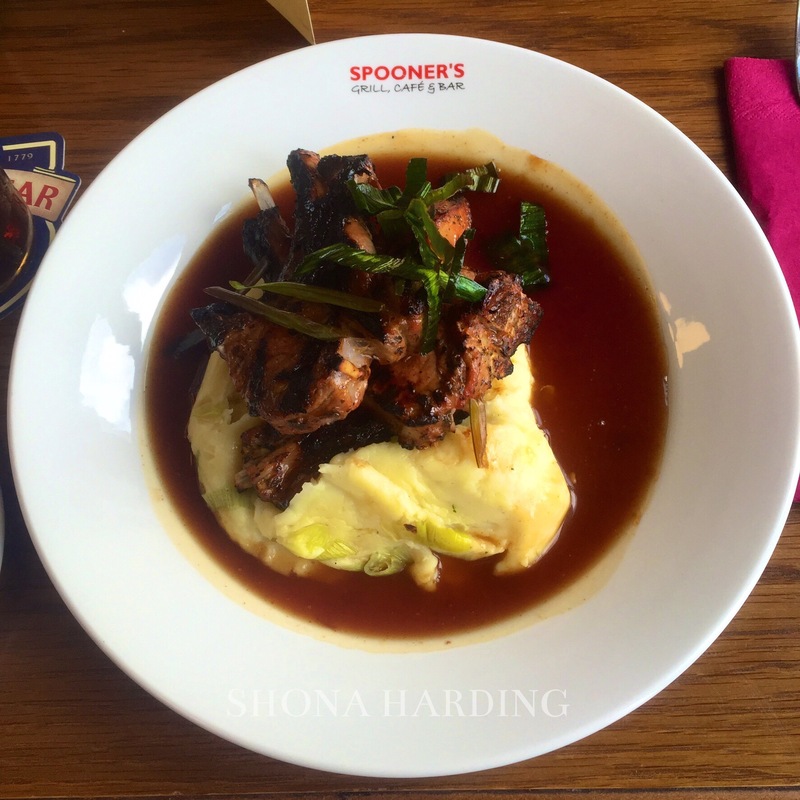 Spooners is a little cafe/restaurant/pub down by the train station. With the restaurant on the platform we saw many different trains, old and new, and had a beautiful view of all the mountains that surrounded us. When I arrived at this place it looked like a standard greasy cafe, I couldn’t have been more wrong. I ordered lamb with mash potato, vegetables (that were on the side in a side dish) in mint gravy. This dish was delicious! My mouth is watering just thinking of it now! The presentation was stunning and the mash (which I can be very particular about) was incredibly creamy with no lumps! The lamb was full of flavour and the vegetables were amazing! Definitely recommend! My dad and brother also got into the blogging idea and decided to take pictures of their food too. 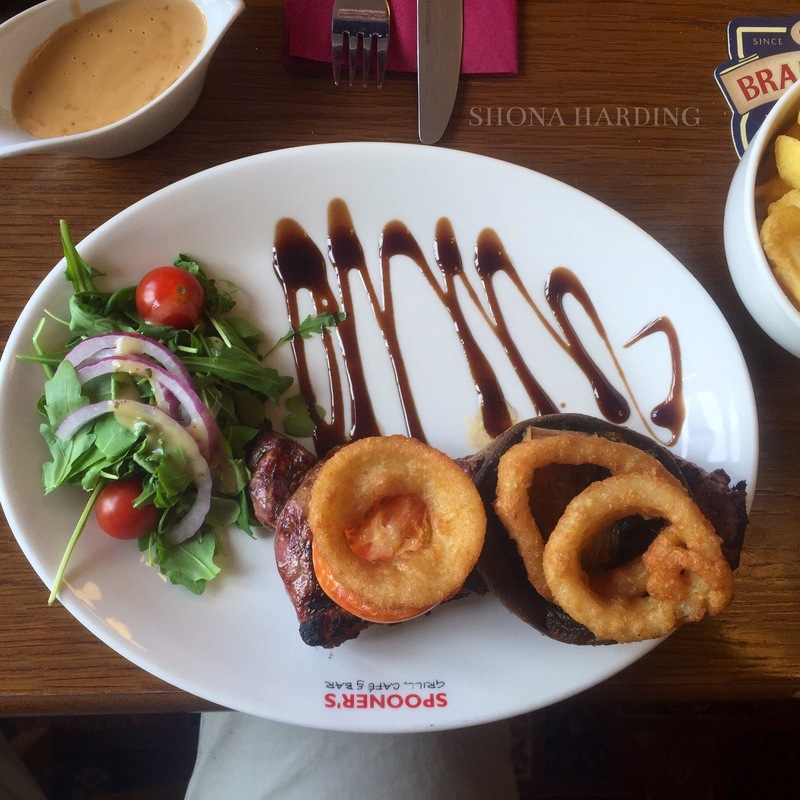 My brother had the steak with onion rings, Jack Daniels sauce, salad and chips. He also decided to have peppercorn sauce with the steak which I tried a bit off and it was incredibly creamy and flavourful. My dad had the vegetable lasagne and he must’ve loved this because he made it again for his dinner the other day! This came with salad and garlic bread. The next day we were going to the zip wire centre (which you can read about here) and we went to a little cafe for breakfast called Jenny’s. Jenny’s has two parts to it. One side of the shop is for cakes and afternoon tea type foods and the other is the cafe where they do all types of food. We went in for breakfast. At Jenny’s I had the egg on toast option that comes with two sides. 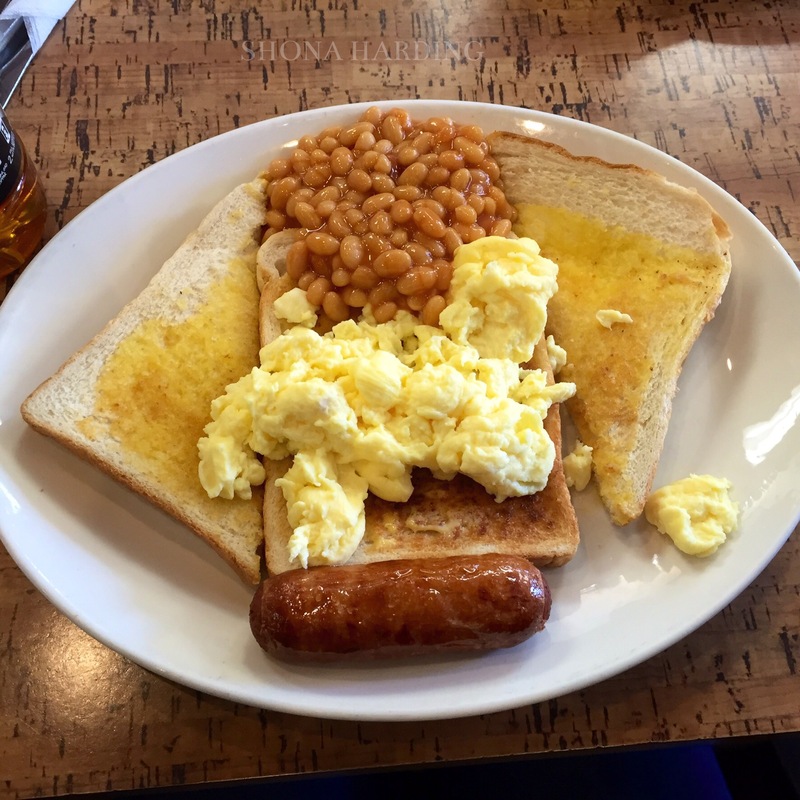 I had white bread with scrambled eggs, beans and a sausage. It was so delicious! It certainly filled me up for my trip up the mountains. In the evening we went to a place called Y Stablau or the Stables Bar. This was a standard looking pub with a lot of atmosphere and its own cat that liked having a wander around. 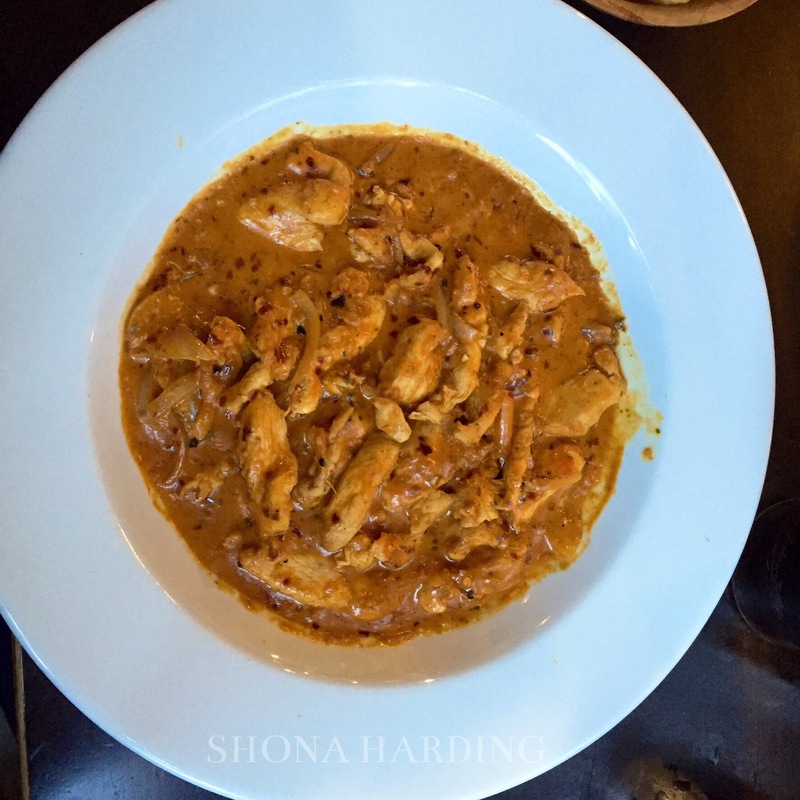 I had the chicken tikka curry – hot, with chips and poppadoms. Even though this didn’t look amazingly well presented it tasted amazing! I decided to have it hot which is an option you can decide (nice touch) but my mouth soon hated me for it as it was incredibly hot! Thankfully the heat didn’t take away too much of the flavour. The chips were delicious! 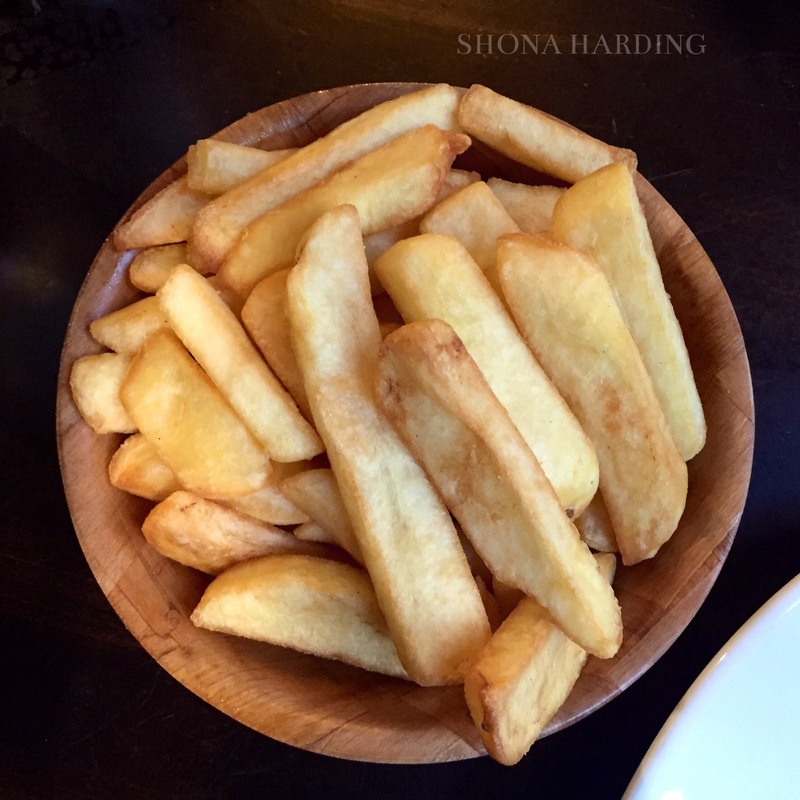 They were big and fluffy but had crispness in the edges. You also got a good portion which meant I was incredibly full by the time I finished. 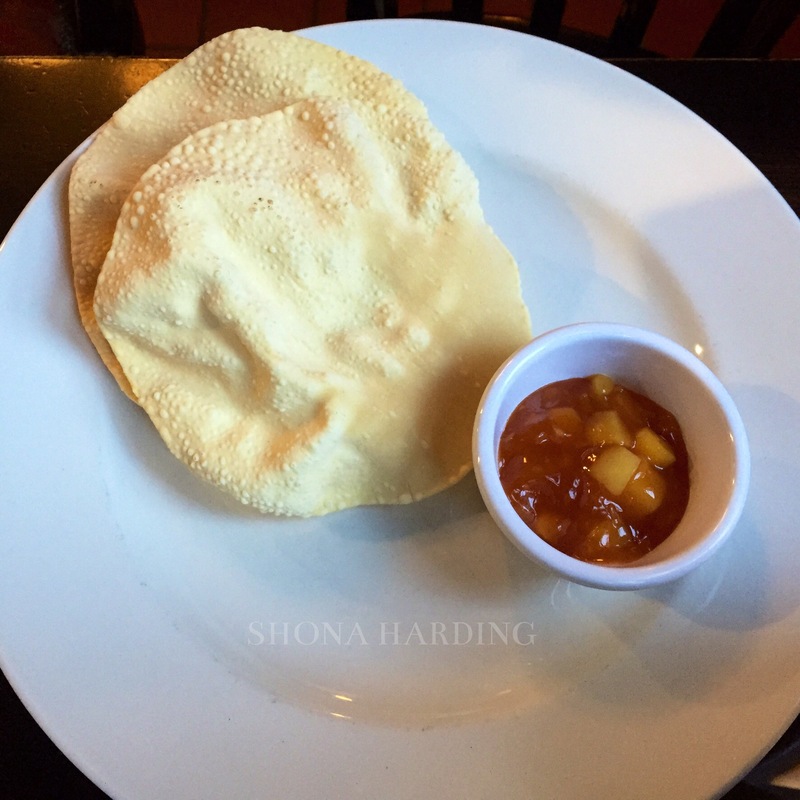 The poppadom was crisp and full of flavour and the mango chutney was delicious! I mixed between the curry sauce for dipping and the mango chutney and the chutney certainly helped cool down my mouth! 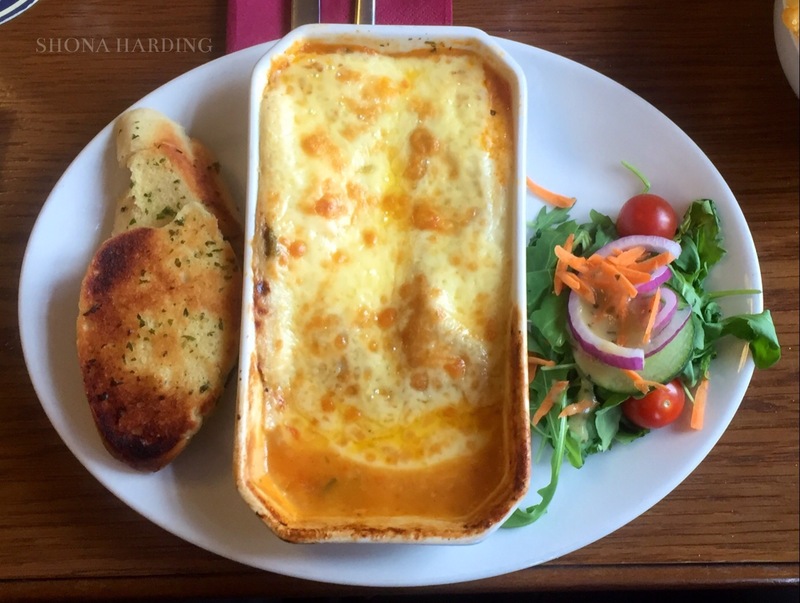 Porthmadog and Betsw-y-Coed have some amazing places to eat and I am so glad that I got the chance to try some more food up there! What’s the best thing you’ve ever eaten at a restaurant?